Keith Redfern Humphreys has researched the history of our War memorials for the Flintshire War Memorials website. 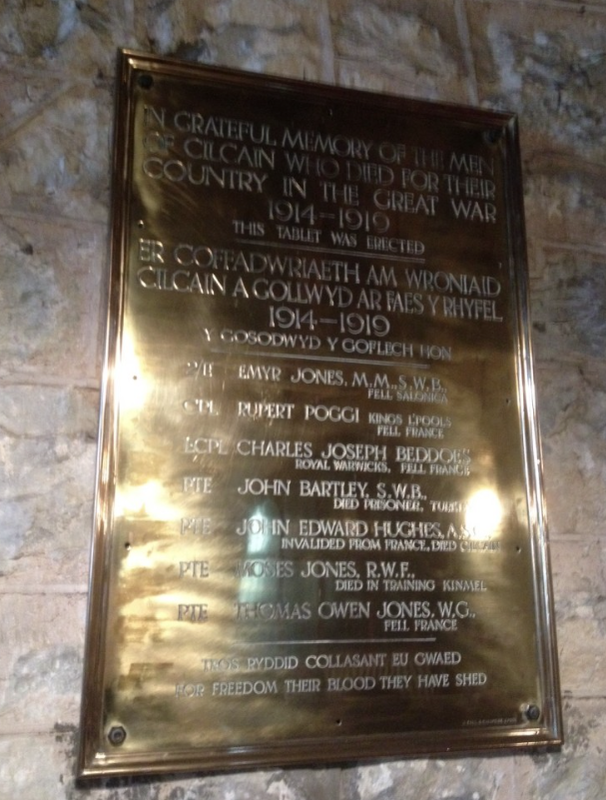 There are two identical memorials in Cilcain that commemorate the seven men who died in World War One. They are in the form of brass plaques that list the seven names and give brief details of how the men died. One is fixed to the wall of St. Mary’s Church and the other is fixed to the wall of the Chapel – known as Capel Gad. On the Flintshire memorials website, it is possible to view the history of those listed on the memorials. 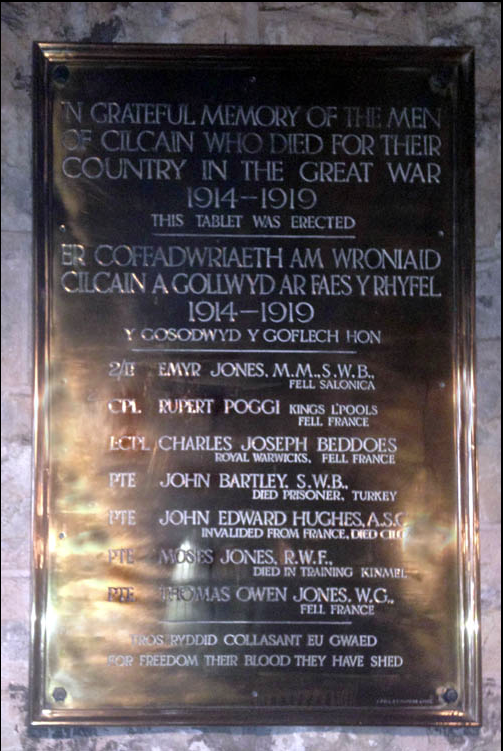 Or the fascinating and highly specific Cilcain details at http://www.flintshirewarmemorials.com/memorials/cilcain-memorial/cilcain-soldiers/– just click on the name of an individual to learn about them and their background. So far as is known, all Cilcain residents survived service in the Second World War.